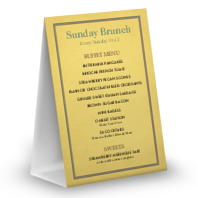 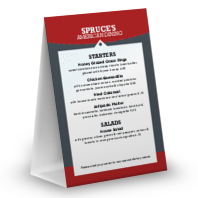 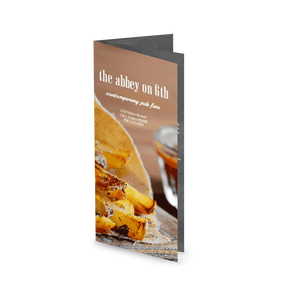 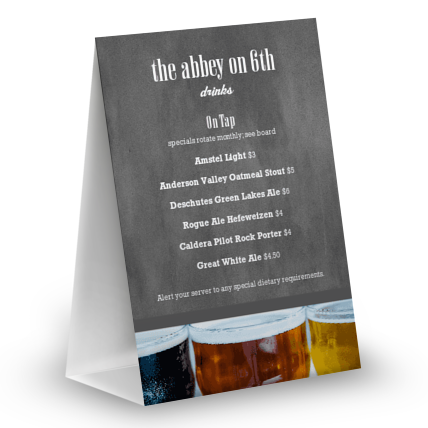 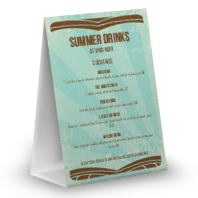 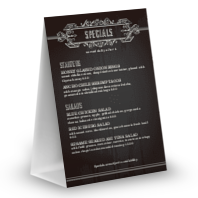 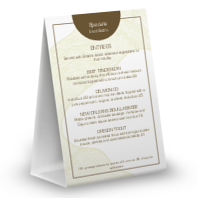 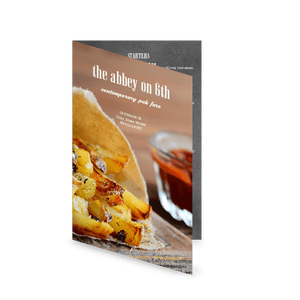 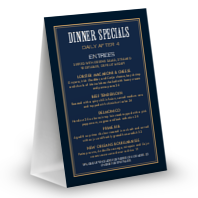 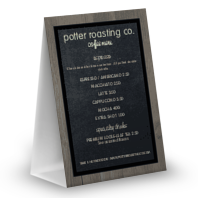 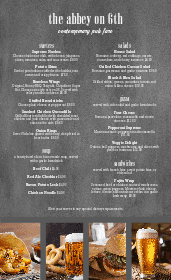 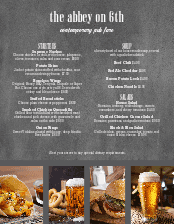 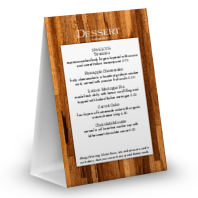 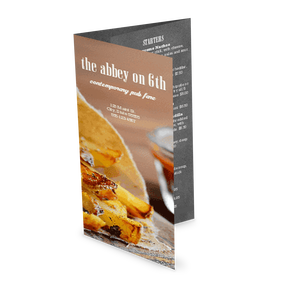 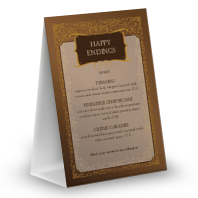 Announce seasonal events or list your drink specials and desserts using this Classic Pub Menu template. 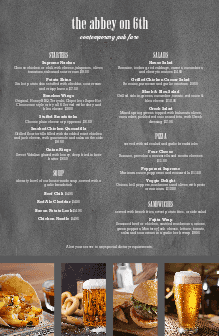 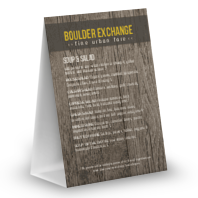 A gray slate background is bottom-bordered by mouth-watering photos of fries, beer, and burgers. 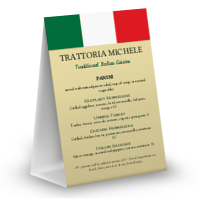 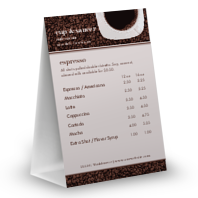 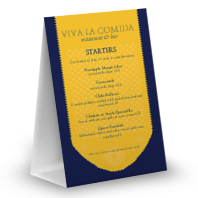 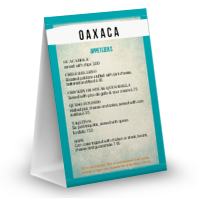 Customize this table tent using the online Menu Maker.